My name’s Tricia, and I’ll be sharing insight into my journey as a new full-time Recruitment Marketer. Fun fact: This is my company’s very first Recruitment Marketing function! Therefore, I anticipate having many lessons to share along the way. 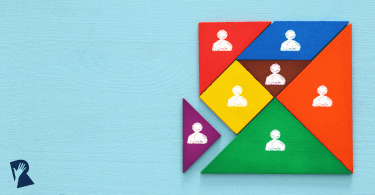 In this first post, I’ll share how to create a Recruitment Marketing role or function within your organization, based on the experience I went through. My hope is that this will be useful information for both leaders considering adding this function, and for recruiters or marketers who want to pitch the new role. I started my career in software sales, only to find that after 18 months, my heart was truly set in recruiting. 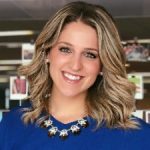 I landed my first recruiting gig at Appian and have been supporting our sales and marketing hiring efforts for the past 3 years. 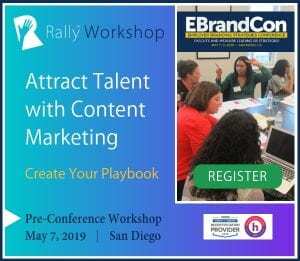 In May 2018, I attended the EBrandCon Conference, in hopes to learn more about Recruitment Marketing and how other organizations are structuring their employment branding strategies. I came back from that conference energized, fully inspired, and motivated to completely transform my career. I wanted to do this. I needed to do this! A few days later, still riding the conference high and gushing about all of my new ideas to anyone who would listen, I told my boss that I wanted to start the very first Recruitment Marketing role within Appian. She agreed that this would be the perfect mix of everything I’m passionate about: improving the candidate experience journey, creating content that exemplifies our employer brand, empowering the recruiters on my team by providing solutions at their fingertips, and more. This was it. My dream job. It was go time! Starting any new role can be intimidating. Starting a completely new function can be downright terrifying. It is a HUGE undertaking. The good news is that there are plenty of resources out there to get you started, such as Rally Recruitment Marketing, conferences (like EBrandCon), LinkedIn Learning webinars, and various Talent Communities on Facebook. So, get excited! You have the chance to truly make a lasting impact by raising brand awareness and helping your organization grow! Personal development (e.g., conferences, certifications, speaking opportunities). I’m sure these buckets will grow or even require a complete overhaul one day, but creating structure will help you with your day-to-day and long-term planning. Identify support and/or sponsorship within your organization. These individuals will be your champions, sounding boards, and advocates. I looked to my boss and internal teams that have a shared mission and would benefit by collaborating and partnering. My boss: Dawn Mitchell believed in the mission and impact of Recruitment Marketing and could also see how this role would improve our company globally. Her engagement, guidance, vision, feedback, and perspective was a gift of executive leadership to put me on the right path! She also believed in me, and that’s a dream come true. Marketing: Since my role interacts directly with our internal marketing department, informing them about my new role and having collaborative discussions on how to best work together has bloomed into a new working partnership across departments. A Candidate Relationship Management (CRM) platform (e.g., Beamery, Smashfly, PhenomPeople). When it comes to your organization’s online presence, identify which channels you think will drive the most talent to your career site. Is it through paid advertisements via Facebook Ads or LinkedIn? Maybe it’s third-party curated content through options like The Muse or Glassdoor. The good news is, you can always start small and track the effectiveness of each channel before increasing your investment. For example, if you were able to track 10 new hires from one LinkedIn Ad over an 8 month period, and comparatively converted 0 hires from several costly local networking events, you’ll know what channel is bringing in the best return on investment (ROI). Internal networking within your organization is just as important as external networking. I promise! Whether it’s through a company newsletter or over small talk in the kitchen, ensure that people within your company know what your role covers. Starting a new function is exciting and all, but it’s way more effective when people know you and the new function exists! Soon enough, you will have colleagues reaching out to contribute content for your social media channels. Get ready, because that domino effect will happen – and it is glorious my friend. Now on to external networking. (Pauses to smile.) I may be biased, but external networking truly changed the game when I started in this role. While recruiting is a mix of sales and marketing, I didn’t come from a true marketing career. I still needed to learn from others in the industry. I genuinely was, and still am, a sponge just looking to soak up any advice I can get! I kicked off my external networking by contacting Alyse DeLange, Recruitment Marketing Strategist from Smashfly when my curiosity for Recruitment Marketing peaked. Our conversation was filled with laughter, funny stories, and most notably, she offered guidance on Recruitment Marketing certifications and a list of conferences I should check out. Aside from that, we also realized we both were from Cincinnati, Ohio and had a love for coffee. So, virtual coffee cheers to you, Alyse! 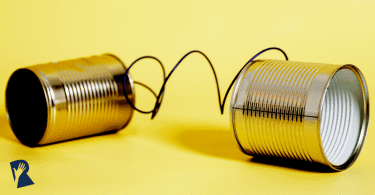 When it came to building out my toolbox and considering different CRM platforms, I relied on thought leaders in the space who have had experience with a handful of platforms out there. I would be remiss if I didn’t acknowledge the following thought leaders who graciously took calls with me to share guidance and knowledge of the tools we were considering: Will Staney from Talent Brand Alliance, Lisa Colella from Truist, and Eric Clemons from US Cellular. Major thanks to you all for welcoming me in to this wonderful community with open arms. In my next post, I plan to share more details on the process we took to find the perfect CRM for the Appian recruiting department. Until next time! Recruitment Marketing Strategist at Appian Corporation.